I will have to give the credit for this to my good friend Mike Bobbitt who is a highly-talented NASCAR Aero engineer and a member of the Team Rusty Hood Racing LeMons team from last Fall. It was his idea to add a "Party Switch" to our LeMons racetruck and it could not have worked better. Since I like to go fast, I decided to add a party switch to my new shifter kart. The party switch has two basic modes (as you can see below): "PARTY OFF" and "PARTY ON!". 5) Flip it the 1st time you drive a car at the Nürburgring - hopefully the car has a party switch! 6) Flip it when you overcook it into a corner and run out of talent. You will be sure to save it with the part switch in the "ON!" position. 7) Flip it on the victory lap after a race win, etc. To install a party switch on your racecar, take the following steps: 1) Buy a SPST toggle switch (like the ones here: http://www.kpsec.freeuk.com/components/switch.htm) 2) Cut a hole in your dash or some similar mounting area 3) Tighten the toggle switch in the hole you made 4) Make and attached a "Party" label 5) Win races. If someone decides to install a party switch on their car, please let me know and post a picture. I'd love to see it. Well, both of the teams I was rooting for at VIR had misfortunes before the race even started. Team Euro Motorworks who I still work for crashed in the promoter practice on Thursday before the event. 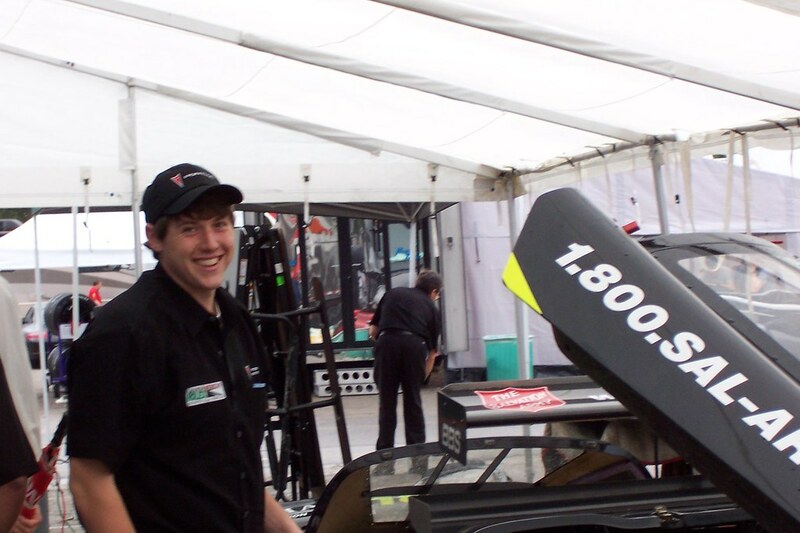 With significant bodywork, exhaust damage, and frame damage, the car was taken back to the shop in Indianapolis for repairs. The HART #93 Civic grenaded an engine at the entrance to the Climbing Esses in Friday practice. A connecting rod let go and shot through the oil pan. The engine bay caught fire and was apparently shooting flames out from under the car enough to melt the rear bumber. Luckily, driver Chad Gilsinger was able to get out safely with no injuries. The car is repairable to they should be ready for their next race, Watkins Glen. 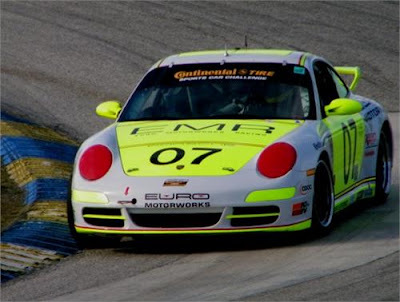 This weekend the Continental Tire Sports Car Challange will race at Virginia International Raceway in Alton, VA. As with the Homestead round, I calculated race and fuel strategy for Team Euro Motorworks, but will not be crewing at VIR. I will most likely only be able to attend 1 or 2 of the Conti Challenge races this year instead of 5 or 6 likes years past. For VIR, Team Euro Motorworks' drivers will be team-owner Terry Heath and Rene Robichaud. These pit windows are assumming no yellow flag laps. The car count is up to 63 cars so the 2.5 hours combined GS and ST race should be exciting. It broacasts on Speed on May 1st at 1PM. 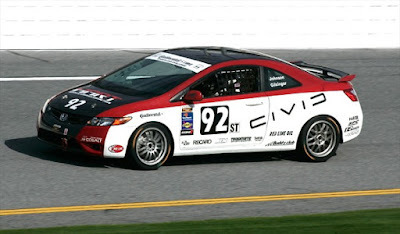 I will be rooting for Team Euro Motorworks and the #93 HART Civic driven by Chad Gilsinger and John Schmitt. I purchased a GoPro HD from G7 Motorsports two weeks ago. I haven't been to the track yet with it, but I am pumped to be able to take wide-angle HD in-kart videos this season. This will be a big upgrade over the standard-def GoPro that I used last season. My Dad and I went to Midland, TX this past weekend to visit the Permian Basin Petroleum Museum because they have a permanent gallery full of Chaparral racecars, to get pre-season testing in on the stock moto kart, and to broaden my Dad's driving horizon by setting him off in a shifter kart for the first time. The Chaparral exhibit was simply awesome. It was unreal to be surrounded by 7 of the most famous cars in racing history. The gallery had a video on Chaparral's history, info on each of the 7 cars displayed, a garage modeled after the original Chaparral shop where they maintain the cars, tons of memorabillia and trophies, and small wind-tunnel displays showing the theory behind Chaparral's aerodynamic breakthroughs. Each of the cars in the gallery is fully functioning and they are driven once every few months around the museum. I need to make it up for one of these events and see these cars in action. Here is a link to the museum page: http://www.petroleummuseum.org/. My Dad and I took a ton of photos. Here are a few below. After the museum, we drove 10 minutes to Rimrock Raceway. This is the closest track to me in San Angelo (about 2 hours away) and will be my main testing track. Rimrock was built in 1957 by a doctor in Midland whose son was a national-level karter. At that time, the karting national championship race was at a track in California. Rimrock was built as an exact copy of that track to give his son an advantage at the championship. The track is even oriented in the exact same direction; both straightaways go southwest. Overall, tt is pretty smooth and very fun to drive. The testing session was very productive, despite not getting any flyer lap times. I learned a lot about the new kart, and feel much more comfortable with the new engine and chassis package. My Honda engine is having fuel delivery issues which hampered me all day. I was having trouble revving over 10K RPM (normal shift point is 12.5K) and could not go to WOT quickly. I had to slowly roll into the throttle to avoid hesitation in the motor - it felt like hitting a rev limiter. During the few hours at the track, I tried 5 or 6 different fixes, but the problem persisted. When I drove my kart in my neighborhood 2 weeks ago it was fine, so something changed/broke during my first session. I have some troubleshooting to do (mainly replacing all fuel lines and inspecting fuel pump and carb internals), but should be able to get it fixed quickly. I am going back to Midland either this weekend or the next for more testing. Here are some pictures from Rimrock. I took GoPro video, but it's not worth watching since I was having motor problems. My parents flew in today from Virginia to visit for the week. 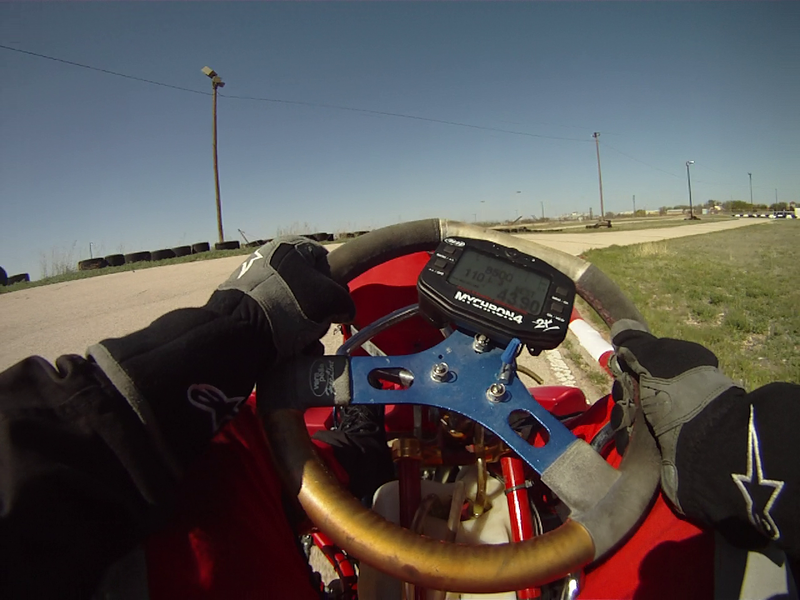 My Dad has always wanted to drive a shifter kart, so we are heading to Rimrock Raceway in Midland, TX on Saturday. Should be fun and a good time to set some baseline testing times before the season ramps up. This will be my first time at the track. It is fast 0.5 sprint track with a track record of something in the 33 second range set by an 80cc shifter. I'll be shooting for a 32 of course. We shall see.